Whenever I apply soap on my daughter’s soft skin, she doesn’t feel comfortable and starts crying. That time only one thought was in my mind that if I doesn’t apply soap how I maintain hygiene. But I was wrong, applying soap on daily basis was not the only way to make your baby germ free. As a mother , I avoid using baby soap for my daughter. Soap is not a good cleanser specially for your baby. Why to apply chemicals on your babies soft skin. Studies shows that some well known baby soaps and talcum powder (https://www.facebook.com/topic/Johnson-Johnson/103766552995866?source=whfrt&position=1&trqid=6254832205212275876 )contain very harsh chemicals, regular applying of soap makes the skin dry. It removes the moisture from the skin. Bathing your baby is a marvelous experience for mother as well as for a child. … So make it much enjoyable by avoiding chemicals that makes your baby cry. It dries the skin: Bathing your baby several times a week with a soap can dry out his or her skin. If you’re quick with clean diapers and burp cloths, you’re already cleaning the parts that really need attention face, neck , armpit and diaper area. Harmful chemicals found in soaps and shampoo : Some research shows that , very harmful chemicals are found in some baby product. So why to apply chemicals on our baby body. Try to keep babies away from the beauty products as much as possible.Natural is always the best. . I know , now you all have a question in mind that if soap is not good on regular basis..Then what is best for your baby skin which is very soft and delicate. 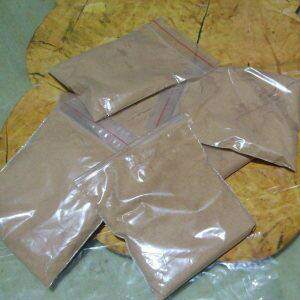 Ubtan or Loi ( wheat flour (dough ) : Ubtan is a traditional cleanser specially used for 1 month baby to kids . This ubtan is very helpful for removing the extra hairs from the baby skin and work as a good cleanser also. Please be gentle while rolling it in your babies skin. Some babies are born with lots of hair in his skin and it is very important to remove it in adolescence because it doesn’t look good when baby starts growing. Take 2 tbs of wheat flour in a rounded plate. Add turmeric to it . 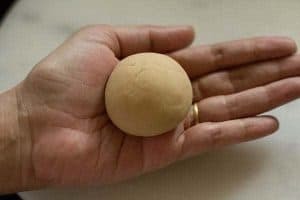 Add water to make a dough. Apply ghee to the surface of dough to make it smooth and soft. Now rub it softly on your baby skin in both direction where you found hairs like hands, legs , face anywhere . Do it daily to see results. Do not miss out underarms and the pubic area too. You do not have to use any soap or cleanser after this procedure as it cleanses the skin. Quantity of Dough shown in the figure is quite enough just apply ghee to its surface to make it smooth and soft. Extra hairs on your baby skin stick with the dough. 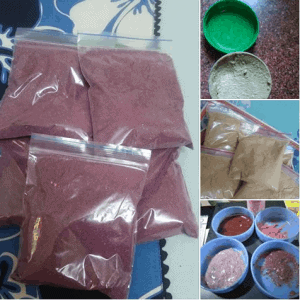 It will clean the skin very well and make the complexion Bright. Now give a sponge bath or a proper bath with Luke warm water. Take a clean bowl add gram flour to it, then add milk and a pinch of turmeric powder. Mix it properly until a thin paste is formed. Wet your baby body with Luke warm water , apply the paste gently on your baby’s leg , back , hand , neck and apply on the face too but very gently by avoiding his eyes and lips, as your baby can get irritated by your little mistake. Message your baby well for some seconds or till your baby allow and wash it with luke warm water. Do it daily to see results. Do not miss out underarms and the pubic area too. This cleanser is good for baby above 2 year. Bread dipped in Milk : As winters are approaching skin is getting dry. So why to use soap daily to make to much drier. 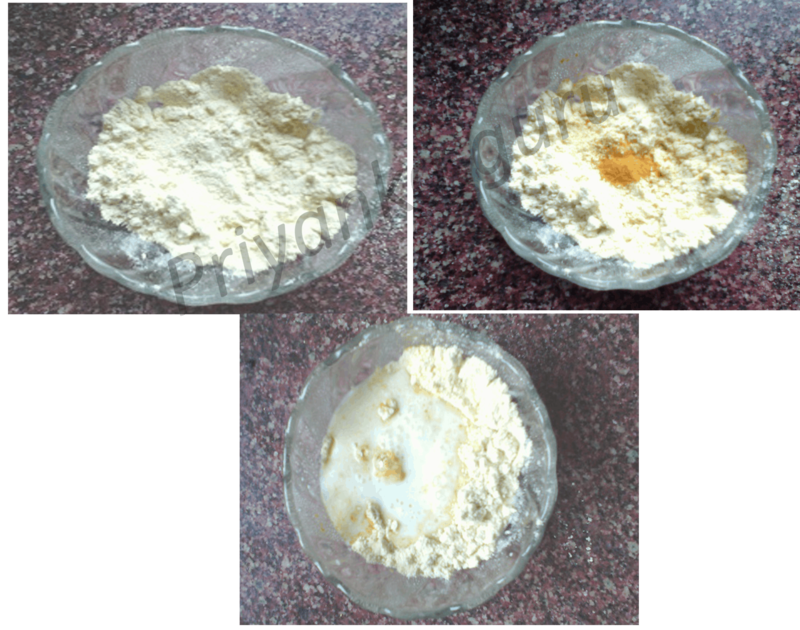 You can switch to this recipe to make your and yours baby skin much more soft and glowing even in winters. this cleanser can be used for baby above 1 year. Dip the pieces of bread in raw milk or boiled milk half an hour before applying. I used Warm milk for my daughter as in winters baby don’t allow us to apply things that make them feel more cold. Mesh the bread properly in milk and add honey to it. Apply it gently and message well until the bread dissolve properly , then wash it with luke warm water. You do not have to use any soap or cleanser after this procedure as it cleanses the skin. 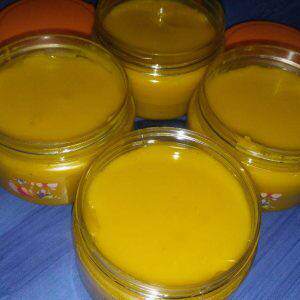 Raw Milk (un-boiled milk): Mix turmeric and milk and apply on the baby from top to bottom after the oiling session. Let it dry. . And, give a bath to the baby. You do not have to use any soap or cleanser after this procedure as milk cleanses the skin. Your baby will grow with very little or no hair. I gifted my baby floating yellow duck, she really enjoyed bathing with them. This ducks let her busy so that it become quite easy for me to apply cleanser on her body. 5. Water : Luke warm water is also a good cleanser for your babies skin. Giving a simple and quick bath with water is quite a good option. Its very relaxing for the baby and mother too. Babies love to play with water. 6. Coconut water : Coconut water is a very good cleanser for the body . It soften the skin and fair the color . It is one of the safest moisturizers for a glowing complexion and a radiant skin. There is no contamination or pollution possible as we are taking it directly from coconut. It has a very light consistency and does not cause any allergies. Extract the coconut water in a bowl and take half of it in small bowl. Add rose petals to it and leave it for 10 minutes (You can use coconut water directly if rose petals is not available). 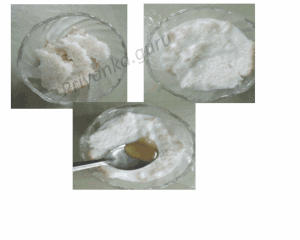 Dip the cotton balls in the coconut water and apply it on your baby’s body . Let it dry for 5 minutes at least. Then give a bath to the baby. 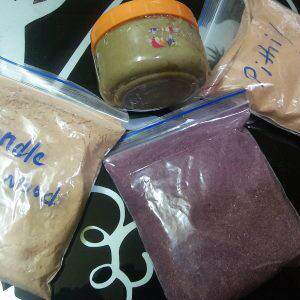 Mothers can also use it for removing unwanted tanning of the skin. Even for those working on developing a tan, it evens out the patchiness. When the skin looks dry and dull, a splash of coconut water will instantly rehydrate the skin to give a fresh and glowing look. 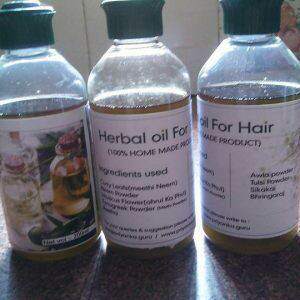 This water removes greasiness and using it regularly will prevent pimples, blackheads, acne and blemishes. The skin of a newborn is extremely delicate. So, please be extra gentle while scrubbing with the flour. Otherwise, you can go for the next alternative. You can use the milk and turmeric alternative till the baby is 2 years old and then, switch to the scrubbing as their skin is better suited for scrubbing now. Every child have different skin. so please check for the allergy by applying a little quantity on your babies hand.